Advised and represented clients before the North Dakota Public Service Commission in various regulatory matters - including administrative rulemaking proceedings and permitting proceedings such as siting of transmission and wind energy conversion facilities. Advised clients on state legislation and potential legal impacts to the wind industry – drafted proposed legislation and assisted in developing legislative strategy. Advised clients on PHMSA regulations. Advised clients on permitting matters before local political subdivisions. Casey A. Furey is an Associate in the firm’s Bismarck, North Dakota office and is a member of the Natural Resource and Environmental Litigation and Energy Projects Practice Groups. Casey’s practice focuses primarily on administrative and regulatory affairs, including practicing before the North Dakota Public Service Commission. 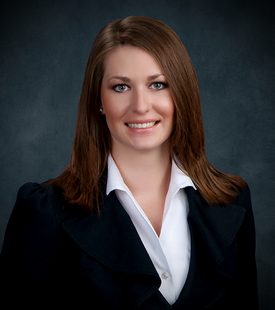 Casey graduated from the University of North Dakota School of Law in December 2013, and earned a B.A. in Political Science from Colorado State University. Prior to joining the firm, Casey served as a Special Assistant Attorney General for the North Dakota Public Service Commission.